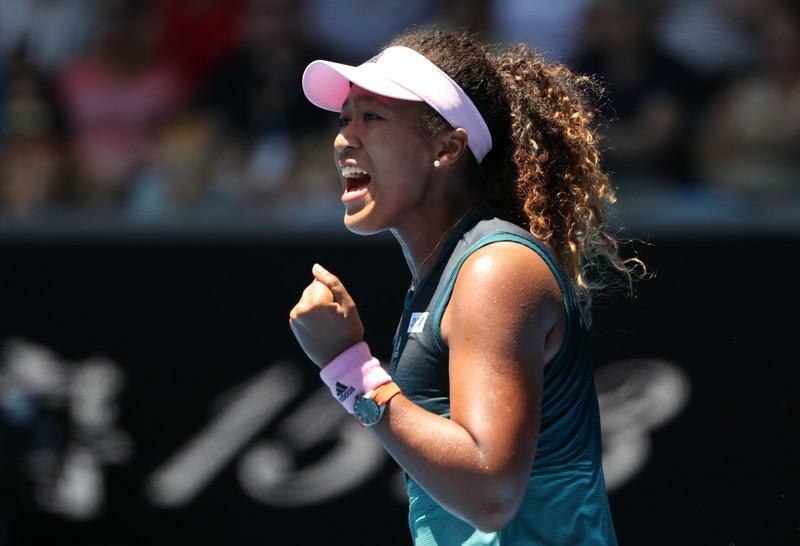 US Open finalists Naomi Osaka and Serena Williams booked their spots in the Australian Open last 16 after securing contrasting victories on Saturday. Osaka had to come from a set down to defeat Su-Wei Hsieh 5-7, 6-4, 6-1. It looked like Hsieh was going to cause a big upset, but Osaka fought back after being 7-5, 3-0 down,with a barrage of big hitting to turn things around. Osaka was visually frustrated at times, but she continued to fight and that is a sign of the true champion she is. The clash was played in fine spirit. Early in the third set on her serve, Osaka applauded a Hsieh winner in the heat of a four-deuce game. In the last game, both were smiling after an exchange that went Hsieh’s way. Osaka, who also made the fourth round in 2018, faces Anastasija Sevastova for a place in the quarter-finals. In contrast, Serena Williams, the player she defeated in the US Open final, had a much easier time on court. Serena produced a ruthless display to dispatch Dayana Yastremska 6-2, 6-1 in just over an hour of play. ‘You did amazing. You did so well. You did amazing. Don’t cry. You did really well,’ she told the youngster at the net following match point, before hailing the Ukrainian’s approach. ‘I’m taking every match as it comes, but I’m playing as hard as I can, the best I can do and I love it out here,’ stated the 37-year-old, having earned a fascinating last-16 duel against No 1 Simona Halep, who beat her sister Venus later in the day. In the men’s side of the draw, world No 1 Novak Djokovic was cruising to a straight-sets victory before a lapse in concentration saw him drop a set for the first time in this year’s tournament. Djokovic was 4-2 up in the third when the unthinkable happened. He lost four games in a row to hand Shapovalov a chance to cause a huge upset. That upset never happened, as Djokovic regained his focus and played magnificent tennis in the fourth set, losing only 11 points on his way to a 6-0 thumping. Djokovic will play Daniil Medvedev in the next round after the Russian saw off David Goffin in straight sets. Simona Halep defeated Venus Williams 6-2, 6-3.